With the advancement of electric motors, and the scaling down of battery packs, more companies are seeing the benefit of building electric-powered bicycles. They’re relatively inexpensive in comparison to a motorcycle, use no fuel, and charge up quickly. 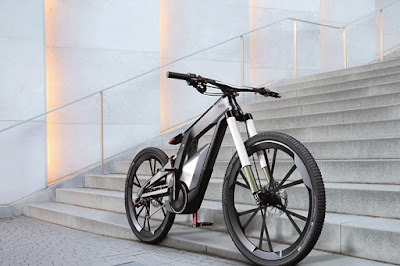 A new name in the world of electric bicycles isn’t exactly known for either bikes or electric vehicles (not yet, at least); Audi. Last week, the German automaker showed off its first official e-bike. While Audi has yet to divulge specifics or even a name, it looks interesting. We do know that the bikes uses a lot of carbon fiber, and a version of the Harmonic Drive System from the Clean Mobile Blacktrail e-bike— but that’s all the details we got. Also in the construction are a set of carbon wheels that most likely cost around $5,000, and a carbon brake system from Brakeforce. That will set you back another $800. There’s also an LED brake light, and Android smartphone apps that help you to choose the right way of riding it. Essentially it does everything a standard bike can do, and then some. Sadly, it’s just a prototype, and Audi says it has no plans of bringing it to market. But considering the cost of all the components, and the cost of all the carbon fiber— you might not be able to afford it anyways. 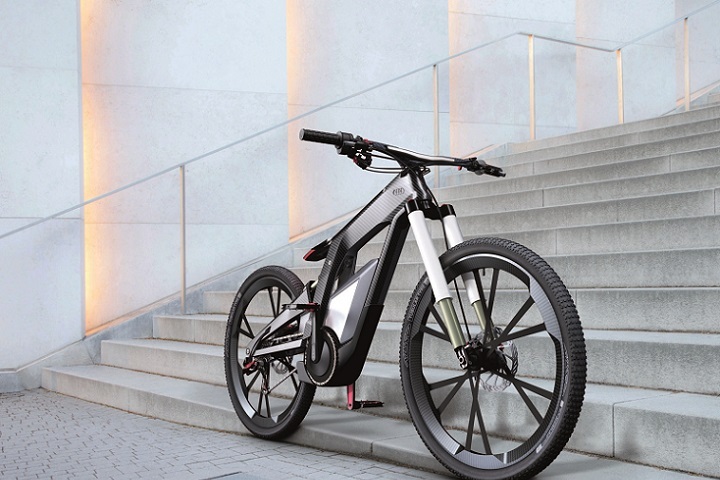 Unfortunately for now, the Audi E-bike is just a concept prototype, and no announcements have been made about Audi’s plans to bring it to market. Our guess is that with the kind of significant R&D effort already made, you will see this E-bike for sale in the next few years.